Have you ever thought about what it would feel like to have your home-life organized and well sorted all while being able to accomplish simple tasks in a quick and timely manner, or wondered why some people seemingly “have it all together” while others are never, ever unorganized? It is our desire to be able to have a task in front of us and quickly and easily get it done, rather than be frazzled, procrastinate and choose to ignore the task because we don’t know where to start to get it done. It’s the daily stuff that starts to pile up in our lives because we don’t have the time or energy to get through it. Believe me, I’ve been there too. I had this constant pile of papers on the kitchen counter that required attention: a medical records request, a field trip form for school, a background check form that needed to be filled out so I could volunteer, the passport renewal form, and the pile got deeper! All of it required me to gather information, from multiple locations in our home. It was such a hassle that the pile kept bigger and bigger. 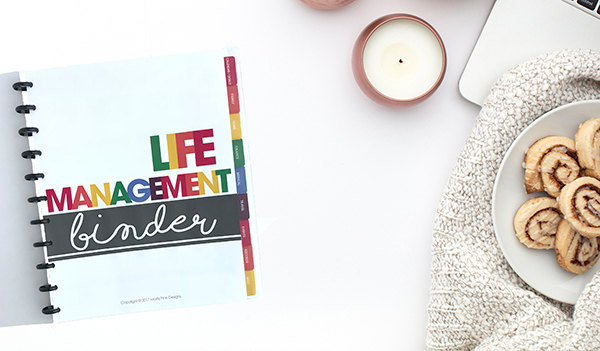 With the Life Management Binder I share how you can easily transform the chaotic details of your life into one organized location. You’ll learn not only to condense your “life” into one location, but how you can quickly and efficiently get life and home related tasks done and get more done in less time. It is possible to feel like our lives are well organized, and with the Life Management Binder I will show you how. This section includes the Daily Task Organizer and the Yearly Goals page. It can easily be expanded to meet your specific needs. 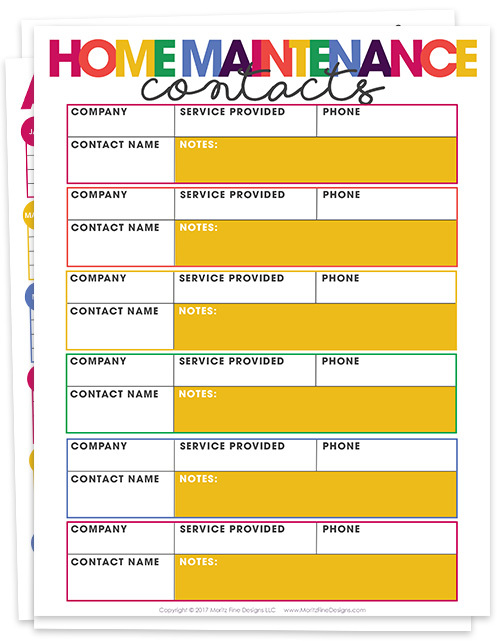 You can add in our free simple calendar or the monthly planner! If you have kids, you know there’s lots to keep track of. These organizers will help keep track of all school related information, growth and even a contact list for your kid’s friends. Utilities, home and auto maintenance, insurance and more. There’s so much to keep track of home and auto related. These organizers allow you to monitor all areas in detail. This area of your home-life is on of the most important to living stress-free. 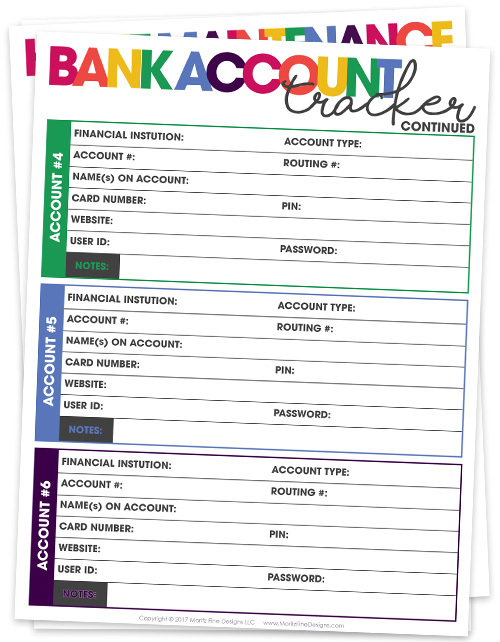 Get your finances under control with multiple organizers for everything from your bank account records and bill trackers to keeping a detailed donation record. Do you remember when you had your last mammogram or even when you went to the dentist? Probably not! 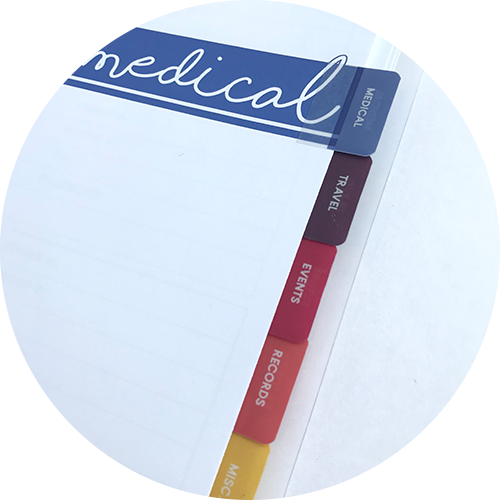 Gather all things medical in this section of your binder. Can’t remember who to contact to rent that condo in Florida you stayed at 3 years ago? Need to know if your passport needs renewed soon? Our travel organizers will help you with these things and so much more. It’s nearly impossible to remember when to get all those birthday cards in the mail. Keep track of birthdays and anniversaries here. Somewhere you have all those copies of birth certificates, driver’s licenses, social security cards and even your marriage certificate, but accessing them is always a hassle. Not any longer! All the random comes together in this section! It includes everything from pet records to employment history. The Life Management Binder launch week pricing of only $18 is extremely short, and will only be open through January 4, 2018. 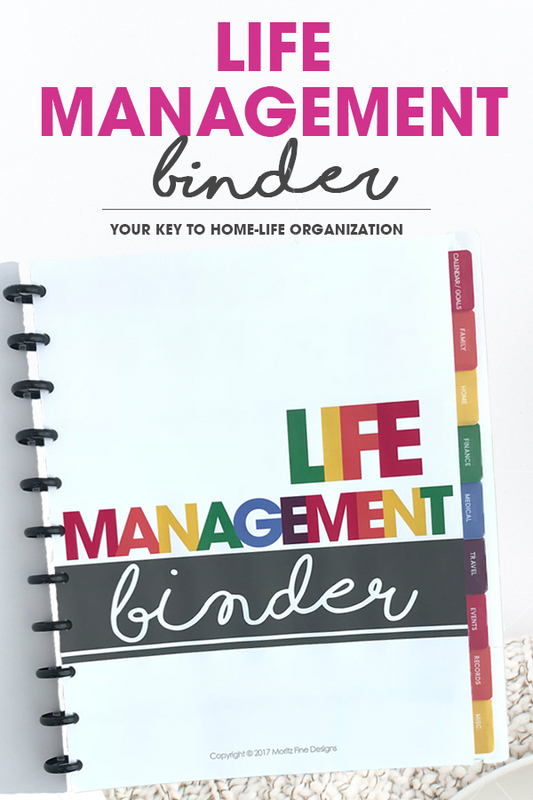 If you are ready to finally to end the struggle with the chaotic randomness of the many aspects of running your home and wishing for a simple solution to get it all together, the Life Management Binder can help you get there. It provides the ultimate guide to home organization. Click the link below to get your binder. To view all pages included, go here. You can put together your binder by either using a simple 3-ring binder (using the first supply listed below) or you can put together a binder like the one in my image, using the other supply items listed. You can simply use a 3-ring binder, punch your downloaded planner and insert. There are divider pages and labels included in your download. I like using the repositionable tabs to create my own divider pages. Personally I prefer to use the discbound system to create planners. With this system you can put anything in your disc binder. You will need to invest in a disc hole punch like the Levenger Circa Portable 1-2-3 Punch or the Staples Arc Desktop Punch. To hold your planner together, you need the round discs notebook rings. There are lots of colors available. It’s optional to get a cover, but I like my planner to stand the test of time so I use these translucent covers. If you want to get rings, a cover and filler pages all in one bundle, grab this arc notebook. After getting the basics of your binder set up, it’s time to insert your pages. I have put the binder together in a logical order including 9 sections, but this is YOUR binder. Personalize it. Make it work best for you. Feel free to move the pages around according to work makes the most sense for you. 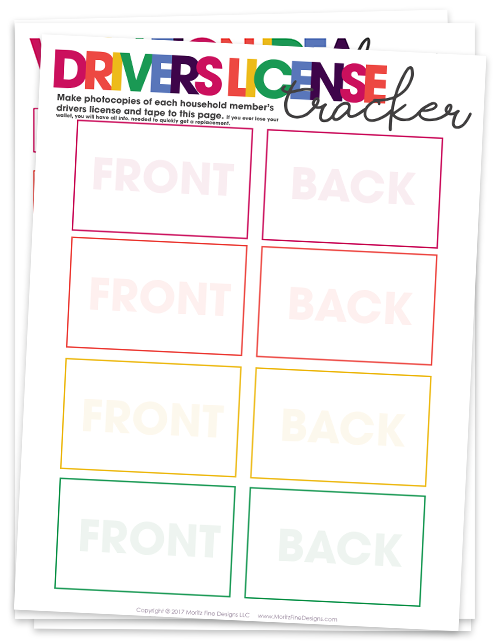 You can even add to the binder (I like to add in important papers, receipts etc.). I love these pocket pages to add misc. items to. The customization possibilities are endless–allowing you to make the perfect binder for you! Get My Life Management Binder Now! Your sheets look fantastic! I plan to print them out and make the binder. With all of your beautiful designs and advice I hope to regain control of my life and family. Thank you for sharing your experiences and knowledge. Thanks for stopping by Selena! how long did it take to get the file? It should come within a few minutes!